The devastated family of tragic Bethany Fisher have opened up their hearts for the first time since the teenager’s death. 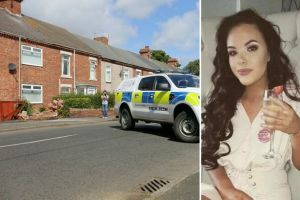 The 19-year-old was on a night out celebrating her birthday with friends when she was fatally injured in a car crash on Victoria Terrace, Bedlington, on August 19. Jordan O’Donnell was behind the wheel of a Ford Mondeo when he lost control of the vehicle. Passenger Bethany died from her injuries while her best pal Meg McBurnie, who was also in the car, was seriously hurt in the crash. Bethany’s auntie Suzanne Scott, from Blyth, revealed the family is still struggling to come to terms with losing their “beautiful girl”. Holding back the tears, the mum-of-three said: “I’m absolutely heartbroken and can’t believe I won’t see or hear her voice again. All lined up in their new uniforms with their new classmates and teachers, these photographs are a historic document for every child pictured - and their families - and they are very cute too! The half-days and half-classes are over and the children are settling in to their new routine with new friends. 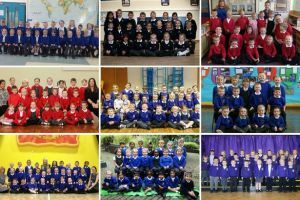 We are delighted to feature roughly 1000 of them - and wish every one very many happy and successful school days to come. Some of the photographers were sent in by schools and others were taken by our staff. They will all feature in our First Class supplement printed in the Chronicle on Friday, September 29, a lasting memento to treasure. So put that date in your diary! You can buy a copy of the photographs we took for your family archive at www.chroniclelive.co.uk/buyaphoto You can also telephone 0191 201 6001 or call in to our reception in the Groat Market, Newcastle, NE1 1ED. Or just enjoy them here! The schools who took part are Appletree Gardens, Monkseaton; Backworth Park Primary School; Balliol Primary School, Longbenton; Beaconhill Community Primary School, Cramlington; Bearpark Primary School, Durham; Blackfell Primary School Washington ; Bridgewater, Newcastle; Browney Academy in Durham; Byker Primary School ; Caedmon Primary School, Gateshead; Canning Street Primary School, Benwell; Colliery Primary School, Dipton; Delves Lane Primary School, Consett; Denbigh Community Primary School, Wallsend; Dunston Hill Community School, Gateshead; Forest Hall Primary School. Also Kelvin Grove Community Primary School, Gateshead; Larkspur Community Primary School, Beacon Lough East; Malvin’s Close Primary Academy, Blyth; Moorside Community Primary School, Arthurs Hill; Mortimer Primary School, South Shields; Mountfield Primary School, Kenton; New York Primary School; Prudhoe Castle First School, Prudhoe, Northumberland; Seaton Sluice First School; Seghill First School, Cramlington; Sherburn Primary School Hill Site, County Durham; St Aidan’s RC Primary School, Ashington. 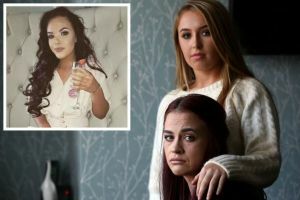 A devastated teenager who survived the crash which killed her best friend on a birthday night out has spoken of her heartbreak. Bethany Fisher was fatally injured when the Ford Mondeo she was in hit several parked vehicles on Victoria Terrace, Bedlington, on August 19. Despite the efforts of neighbours and paramedics, the 19-year-old died of her injuries before she could reach hospital. Meg McBurnie, 19, was also in the vehicle and has been left with serious injuries after the collision. Paying tribute to her best friend, Meg said: “Everyone loved her and her funeral was the hardest day of my life. “From the moment I wake up to the moment I go to sleep, I’m always thinking about her. It still doesn’t feel real. This is the killer danger driver who left one teenage girl dead and another seriously injured. Jordan O’Donnell was behind the wheel of a Ford Mondeo when he lost control last month. Passenger Bethany Fisher died from her injuries while Meg McBurnie, who was also in the car, was badly her. After the crash in Bedlington, Northumberland, O’Donnell rang police and pretended his car had been stolen. As we revealed previously, he has been warned he faces a significant spell behind bars after admitting offences including causing death by dangerous driving. Now police have released his mugshot ahead of his sentencing hearing next month. Killer driver Jordan O’Donnell has admitted causing the death of a teenager and seriously injuring another girl in a horror crash. The 20-year-old was behind the wheel of a Ford Mondeo with no insurance when he lost control in Bedlington, Northumberland, last month. Passenger Bethany Fisher tragically suffered fatal injuries while Meg McBurnie, also in the car, was left seriously hurt. After the collision, O’Donnell rang police and lied that his car had been stolen. Now he has been warned he is likely to receive a lengthy prison after he admitted offences including causing death by dangerous driving, causing serious injury by dangerous driving and doing acts intending to pervert the course of justice Judge Tim Gittins, at Newcastle Crown Court, told O’Donnell, who appeared on a video-link to HMP Durham: “You having pleaded guilty to the offences you face, obviously the likelihood is a significant custodial sentence. A thug who stamped on an innocent stranger’s face during a horrific and unprovoked attack in a Northumberland pub has been jailed for five years. Vile Jack Stevenson floored David Wailes with a punch and began stamping on his head, leaving him with a broken eye socket. The vicious attack took place two days before Christmas, while the victim was celebrating a Christmas night out at the Grapes Pub in Bedlington. Stevenson, 25, who had previous convictions for battery, criminal damage and dangerous driving, has been locked up for five years. His “mindless” attack has been condemned by police, who say there was no altercation or argument that provoked Stevenson to attack. After brutally assaulting Mr Wailes, Stevenson punched an 18-year-old man and fled the scene. A ‘bouncer’ was brought in to watch over frustrated mums as parents made a last minute rush to a school uniform store on Tyneside, it has been claimed. As hundreds of parents queued to get uniforms to send their off-spring back to school, they told how a security guard stood over at Emblematic shop on North Tyneside Industrial Estate in Longbenton . The company also has stores in Bedlington and Darlington and supply uniforms to almost 400 schools across the region. But as the final days of the school summer holidays drew near, mums came out in droves to buy uniforms in time for their sons’ and daughters’ return. It follows scenes elsewhere in the country when parents left young shop assistants in tears in a last-minute crush for school clothes. A shopkeeper at a major supplier in Gloucestershire was reported saying next year he said he is considering having someone stand guard on the door to stop people allegedly walking out with items of clothing because they can’t be bothered to queue for the till. Almost 2,000 new homes will be built across Northumberland, creating dozens of jobs. Six separate applications poised to change the face of the county were given the go-ahead by councillors. Developer Hindhaugh Homes was granted permission to build 500 homes on land near James Calvert Spence College in Amble at a meeting on Tuesday. The company said the two, three and four-bedroom properties will “enhance the profile of the local area by providing a distinctive community atmosphere”. But Amble councillor Terence Clark feared the homes will be overpriced and the town’s amenities will not be able to cope. He said: “People in the ward don’t think that the infrastructure will be able to take it. It is like another town being built. A carnival atmosphere was created in Northumberland as tens of thousands of people turned out for the second stage of the OVO Energy Tour of Britain . From Kielder to Blyth, the spectators lined the streets creating a wall of noise as the cyclists powered their way around the 211km course. And the county’s beautiful countryside provided an impressive backdrop for one of the most exciting events on the racing calendar. Despite the huge climbs and tricky corners, the riders weren’t short of passionate support from the pavements. People transformed their streets and gardens into a sea of red and yellow - the colours of the Northumberland flag - by hanging metres of bunting and flags to welcome them. For the start of the race, hundreds of people descended on Kielder Dam as more than 100 riders were introduced to the crowd. Millions of pounds could be generated for Northumberland’s economy on Monday as the next stage of Britain’s top cycling race gets under way. The county is hosting the second stage of the OVO Energy Tour of Britain, starting in the heart of Kielder before a dramatic finish on the coast of Blyth. And tens of thousands of spectators are expected to line the streets as the 211km route is decorated in red and yellow bunting and displays - the colours of the Northumberland flag. The cycling extravaganza is being shown live on ITV4 and will be broadcast in more than 120 countries. Coun Richard Wearmouth, Northumberland County Council’s cabinet member for economic development, predicts the race could be another big hit after it generated £2.2m for county two years ago. He said: “In 2015 the Tour of Britain gave a real boost to the local economy and we’re confident this year’s stage which is entirely in the county, will be great news for businesses in Northumberland. “In 2015 only the final three hours were broadcast live on TV - this year we have the complete stage broadcast throughout the day worldwide from Kielder to Blyth. Two heroes who saved the life of a man suffering a cardiac arrest have been nominated for an award. Robbie Beckwith and off duty Police Community Support Officer Mark Rodgers were playing table tennis at Ouston Community Centre when they heard a call for help. Mike Jones, 63, had just finished a match at the Chester-le-Street centre when he suddenly collapsed. The pair quickly realised the father-of-three’s heart had stopped beating and started performing CPR until paramedics and an emergency care assistant from the North East Ambulance Service arrived on the scene. Mike, of Nedderton, near Bedlington, was then shocked with a defibrillator before transporting him to Newcastle’s Freeman hospital. Robbie and Mark’s quick thinking saved Mike’s life and they have now both been nominated for a Chronicle Champions award in the category of Outstanding Act of Bravery. Councillors are set to give the go-ahead for the construction of almost 2,000 homes in Northumberland. Developments in Amble, Blyth, Ashington, Bedlington and Choppington have all been earmarked for approval by Northumberland County Council’s strategic planning committee. Developers are expected to be granted permission to build 500 homes on a site near James Calvert Spence College in Amble at a meeting on Tuesday. Plans for 500 properties off Glebe Farm in Bedlington could also get the nod, as well as another 200 homes on land off Summerhouse Lane in Ashington. In Blyth, two developments for 300 and 142 homes respectively are expected to go-ahead, while another 327 properties could be built on land at Willow Burn in Choppington. 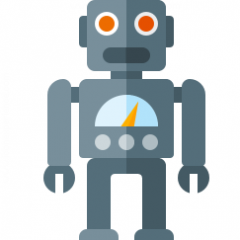 Below we take a look at each application in more depth. Excitement is building for the eagerly-anticipated return of the Tour of Britain to Northumberland. Covering 117 miles and passing through 26 communities, the world’s elite riders will descend on the county next week. The race - one of the most prestigious dates on the cycling calendar - sees riders compete over eight days across the UK. The Northumberland stage starts in Kielder Water and Forest Park and finishes in Blyth. Here is everything you need to know about the event. It is British Cycling’s premier road race and the country’s largest free-to-watch live annual sporting event. Car tyres have been slashed in ‘revenge attacks’ following the death of a teenager in Bedlington . Police have urged the community not to take the law into their own hands as they revealed the 10 vehicles targeted were not involved in the fatal crash on Sunday. 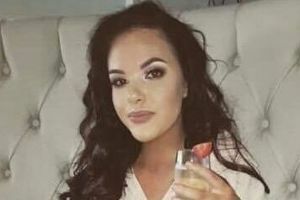 Bethany Fisher, 19, died in a crash on Victoria Terrace in the Northumberland town early on Saturday, reportedly after a night out celebrating her birthday. Despite the efforts of neighbours and paramedics, she died of her injuries before she could reach hospital. 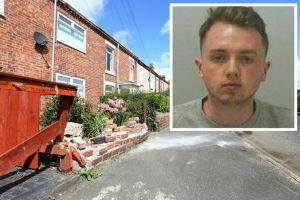 Jordan O’Donnell appeared at South East Northumberland Magistrates’ Court on Monday in connection with the collision. Now Northumbria Police have asked the community to “come together at this difficult time and not take the law into their own hands” on their Twitter account. A man accused of causing the death of a teenager by dangerous driving has been remanded in custody. 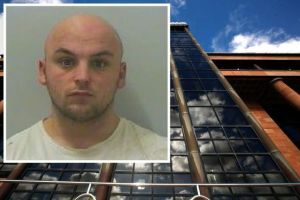 Jordan O’Donnell appeared in the dock at South East Northumberland Magistrates’ Court on Monday. The 20-year-old is alleged to have been driving a silver Ford Mondeo car when it crashed into other vehicles on Victoria Terrace, in Bedlington, killing 19-year-old passenger Bethany Fisher. O’Donnell, of Waverley Court, Bedlington, made his first appearance in court after being charged with causing death by dangerous driving, causing serious injury by dangerous driving, failing to stop at the scene of an accident and failing to report an accident. Wearing a grey tracksuit, he spoke only to confirm his name, date of birth and address during the hearing on Monday. Because of the seriousness of the death by dangerous driving offence, no pleas were taken to any of the four charges. A 20-year-old man has been charged with causing the death of Bedlington teenager Bethany Fisher by dangerous driving in an early-morning crash. Jordan O’Donnell of Waverley Court, Bedlington, is accused of causing death by dangerous driving, causing serious injury by dangerous driving, failing to stop at the scene of a collision and failing to report a collision. Bethany, 19, was killed in the early hours of Saturday morning, reportedly after a night out celebrating her birthday. Despite the efforts of neighbours and paramedics, she died of her injuries before she could reach hospital. A second woman, who was also hurt in the crash, remains in hospital in a stable condition with what police say are “serious but not life threatening injuries”. Two other men, who were arrested on Saturday, have been released and will face no further charges. A teenager was killed in a car crash while out celebrating her birthday. Tributes have today been paid to the 19-year-old, who has been named locally as Beth Fisher, as a neighbour told how he desperately tried to help after the smash. The nursery nurse was fatally injured when the car she was in hit several parked vehicles and a tree in Bedlington, during the early hours of this morning. Another woman was seriously injured and remains in hospital. Police have arrested a 17-year-old boy and two 20-year-old men in connection with the collision, which happened on Victoria Terrace. And today as officers continue to question them, on suspicion of causing death by dangerous driving, a dad has revealed how he tried to help the casualties om the aftermath of the smash. A woman has died and three men have been arrested after their car ploughed into parked cars in Bedlington. 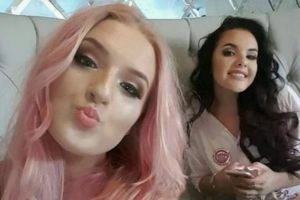 The 19-year-old, who has not been named, died from the injuries she suffered in the crash early on Saturday, and another woman remains in hospital with “serious injuries”. Police have arrested a 17-year-old boy and two men, both 20, on suspicion of causing death by dangerous driving. The fatal crashed happened shortly before 2am, when the car hit parked vehicles and a tree on Victoria Terrace. Officers investigating the crash say that only one moving car was involved, adding that the three male occupants of the vehicle are still in police custody. Northumbria Police has launched an appeal for anyone who saw the crash, or spotted anything suspicious, to report it to officers. Moving tributes have been paid to a Northumberland community stalwart who has died at the age of 79. Mick Scott, of Bedlington, passed away last week after an illness. Mr Scott, who was awarded an MBE in 1992 for political service, helped to organise the Bedlington Fair for many years and was well known in the area. He was born in Bradford but moved to Embleton, Northumberland, where he spent his formative years. He left school at the age of 14 to take an apprentice greensman job at Dunstanburgh Golf Club, just outside Embleton, only to be made head greensman two days later because his predecessor fell ill. Mr Scott lived in Embleton until he was around 22 and moved to London after his parents died. He worked for the London Underground in charge of ordering supplies for various tube stations that were being created. Sitting behind her kitchen table at her Bedlington home, screen writer Rebecca Innes got hard at work to produce her first feature film. Now her masterpiece has been released in Malaysia and she hopes it will be screened in Britain in the near future. And the former St Benet Biscop Catholic High School pupil has told how she was so proud of her work when she travelled to the Asian country to see the premier last week. Now the 29-year-old is planning on rubbing shoulders with the rich and famous when the film is entered into the big film festivals, including Cannes, Raindance, Sundance. “I was really proud when I saw it on screen, it was really nice for me,” said Rebecca. “It is rare to get a feature film before a short film and to hear the actors speak the lines I wrote was so special. They did an excellent job too.” Rebecca was the lead writer for the film titled ‘Hijabsta Ballet’, which hit the cinemas in Malaysia on August 3. Thousands of music lovers rocked out as The Commitments brought a touch of soul to the Northumberland Live festival. The “World’s Hardest Working Band” headlined the day-long event on Saturday, which drew in the crowds to Bedlington’s Gallagher Park. The eight-piece band - headed up by frontman Dave Finnegan who played bouncer and drummer Mickah Wallace in The Commitments film - played all the classics, including Mustang Sally and In the Midnight Hour. They were joined on the bill by The Sleeze Sisters, The Understudies, Just So and Unplugged. Festival-goers also enjoyed a range of food as well as a display by the Royal Logistics Corps’ parachute display team The Silver Stars. Northumberland Live organiser, Mel Jackson, said: “The day has been fantastic - it has been jumping.